In 2015, Max Schrems, an Austrian privacy activist and lawyer, famously filed a class action lawsuit on behalf of 25,000 Facebook users. He was seeking a ‘token level’ reward of €500 per plaintiff for violations of privacy — for a total of €12.5 million. Schrems’ main concern with the lawsuit is that the data Facebook has on EU citizens is subject to the US government’s questionable mass digital surveillance. Until now, that concern has been bounced around courts across Europe, but today, the European Advocate General, Michal Bobek, came to somewhat of a conclusion (PDF). Hang on, I know it’s a little complicated, but we did our best to have Schrems and his lawyer explain it in human language. The AG’s announcement is just the latest addition to Schrems’ ongoing battle with Facebook for EU citizens’ right to privacy. The official opinion that the AG published follows after the Austrian Supreme Court referred two aspects of the case to the CJEU for clarification. Now, according to the AG, Schrems should be allowed to sue Facebook in Austria, but the activist shouldn’t be allowed to represent the 25,000 plaintiffs against Facebook in Austrian courts. But does that mean the social media giant has shaken off the €12.5 million lawsuit? Is Schrems a ‘business’ or a ‘consumer’? One thing that Facebook has been desperately trying to do during the case is to devoid Schrems of his consumer rights (filing the suit in his home court in Austria) by identifying him as a business in the case — according to Schrems’ official statement (PDF). Fortunately for Schrems’ case, the AG found that “carrying out of activities such as publishing, lecturing, operating websites, or fundraising for the enforcement of claims does not entail the loss of consumer status for claims concerning one’s own Facebook account used for private purposes” — which makes sense. Facebook’s spokesperson told TNW that the company disagrees with the AG’s conclusion about Schrems’ consumer status and points out that he’s a well-known privacy activist who regularly appears on panels and has generated revenue by selling books on privacy law. However, Schrems argues it’s civic engagement, and the AG seems to agree. Facebook is unhappy with this part of the AG’s opinion, so that should be considered a win for Schrems, right? Well, not really. “I don’t think it’s especially positive that I’m a ‘consumer’ — we knew that anyways,” said Schrems and added that he feels that the AG didn’t have the courage to actually “go for the law.” In Schrems’ opinion, the argument the AG makes for his conclusion is especially negative because it can affect consumers in general. It seems therefore that none of the parties involved are particularly happy about this, but at least it means that Schrems can continue his case in his home court — which should be less financially strenuous. Can Schrems lead a class action lawsuit against Facebook? Schrems started the legal proceeding against Facebook Ireland Ltd. in Austrian court and used so-called ‘Austrian style class action’ to allow other users to join the claim on a pro bono basis. The AG, however, says that this type of class action suit would only be admissible against an Austrian company — like Facebook had argued. That means that Schrems would have to start a class action suit in Ireland, instead of his home court of Austria. “Bringing a case in Ireland is equally impossible, because the legal costs for a data protection lawsuit of €500 could easily lead to legal costs of 10-20 million under the Irish system. In this case we would be in a situation where citizens have rights on paper — but no realistic option to ever defend their rights in practice,” said Schrems in his statement. “EU law is only in charge of establishing which jurisdiction is in charge, it is for Australian law to identify the consequences of an assignment of claim to an individual,” said Hofmann. Hofmann and Schrems also point out that the CJEU recently accepted a class action by 71 companies called ‘Cartel Damage Claims‘. In their opinion, private citizens should be given the same chance to file class action suits in their home court against companies located in other EU member states. 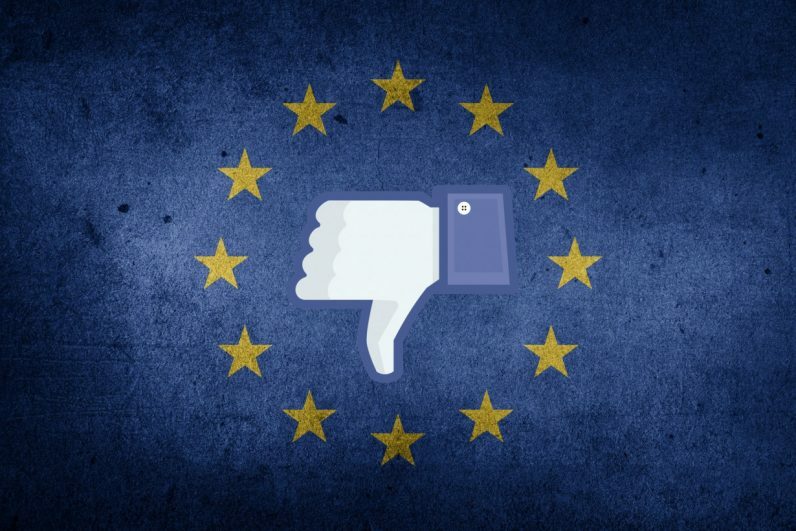 Facebook, however, is happy with this aspect of the AG’s findings: “Today’s opinion supports the decisions of two courts that Mr. Schrems’s claims cannot proceed as “class action” on behalf of other consumers in Austrian courts,” said a Facebook spokesperson. If the CJEU ends up agreeing with the AG on this, then it’s hard to see how whether Schrems case will have any actual effect. There would no longer be 25,000 plaintiffs behind the suit, just one individual looking for a token amount of €500, effectively losing the appearance of being the enforcement of the people’s voice. The AG’s role in all of this was to provide an advisory opinion for the CJEU. The idea is that the AG gives a neutral view on the question at hand, in light of past case law and writing. However, that doesn’t mean that the CJEU will come to the same conclusion as the AG, so it’ll be interesting to hear the court’s verdict — as it will undeniably have great influence on other privacy cases. The final judgement in the case before the CJEU is expected to take place in the beginning of 2018. After the CJEU has reached a decision, the case will continue at the Austrian Supreme Court. However, as it stands now, there’s no money in sight for the plaintiffs.